Meiko "Mei, Germaine Avadonia, Banica Conchita, Maylis Beelzenia, Meika Farous"
Meiko is the first of the Japanese VOCALOID voice synthesizers released by Crypton. 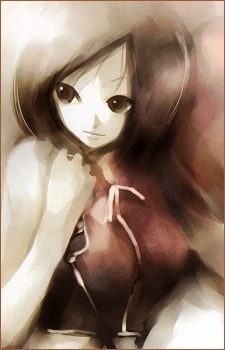 She was created using voice samples from Meiko Haigo. Meiko is portrayed as Kaito's older sister but before it was was going be said that she and Kaito were to be lovers. She is often seen drinking One Cup Ozeki, a popular sake brand in Japan. Thus, sake is her character item. Her signature color is red. It was said that she is often as the "older sister" type. Her best friends are Haku Yowana, Lola and Kaito.